Unless you plan to pay all-cash, getting a mortgage letter is important because it gives you an idea of what you can afford. A mortgage letter is issued by your lender and lists the loan amount you qualify for after checking your debt to income ratio. With today's competitive real estate market, serious buyers should have a mortgage letter before starting their home search. Sellers require a mortgage letter with any home offer that isn't all-cash, since it acts as proof you will be able to get financing. What type of mortgage letter do I need to make an offer? Your mortgage letter can be either a pre-approval letter or a pre-qualification letter which indicates a credit check has been run. It should include your name (co-buyer if applicable), the loan amount you qualify for, date, lender name, and lender NMLS number. If there's an expiration date, your letter should still be within the valid timeframe. Please note: pre-qualification is not the same as pre-approval. Getting pre-qualified for a loan amount is based on a quick assessment of your financial situation by your potential lender using unverified information. Pre-qualification can be seen as the amount you might expect to be approved for. If you're pre-approved, it means your assets and debts have been confirmed by a loan officer. Once a loan officer has verified your debt to income ratio, they issue you a pre-approval letter. These help make your offer stronger than one with a pre-qualification letter. How do I upload my mortgage letter safely? Your financial documents live securely in the Financial Docs section of your Open Listings account. If you're uploading docs for a co-buyer, please make sure that co-buyer is added to your account. We take your privacy very seriously; when you upload financial documents to your Open Listings account all of your data is stored securely and encrypted with a 256-bit encryption level. We also encourage you to black out any sensitive information, such as your address or social security number for added security. If you prefer, we can also redact information for you. 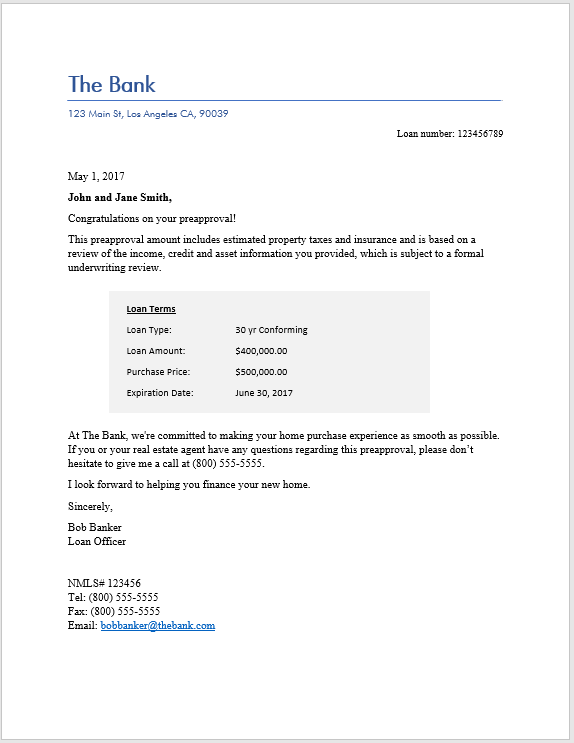 Please reach out if you need any additional help, need pre-approval recommendations, or have any more questions on uploading your mortgage letter.